Protein is known for being the most important macronutrient of all and provides way more benefits than what meets the eye. Nutrition plays a huge role when it comes to achieving your desired body, and with various studies stating that it contributes 80% to your success, it’s crucial not to overlook. Without a healthy diet, the repair and growth process of lean muscles will not develop at the pace they could if the body was fuelled with proper nutrients. Understanding protein and the different types available is key, because there are so many variations aside from regular whey protein. Protein powder supplements have become more popular recently for their ability to infuse the body with a great amount of nutrients without the addition of extra carbs or fats. However, not every protein powder or protein supplement is as healthy as you may think. The plant-based vegan diet has continuously grown throughout recent years, which has seen the rise in vegan protein powder options. 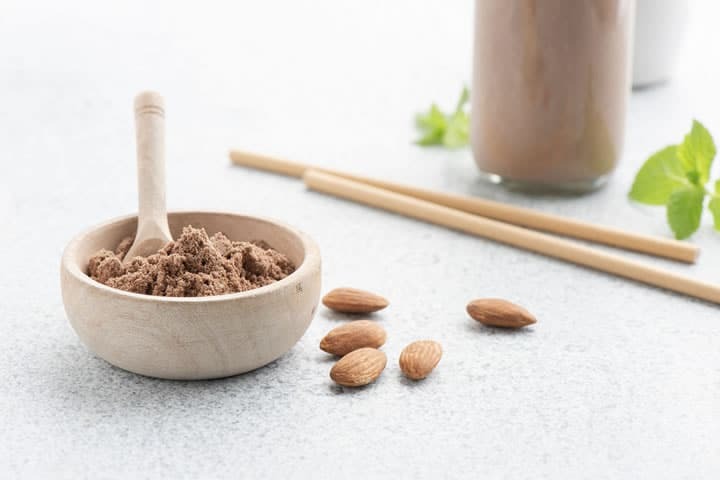 Many who have been reluctant to follow a vegan diet have always doubted how Vegans consume enough protein, but with the creation of plant based protein powders, this theory has definitely been proven to be wrong. 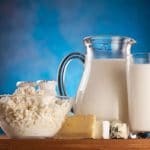 Why Use a Natural Protein Powder? Repairing muscle tissue after vigorous exercise can only be done with the aid of protein. Production of hormones and enzymes can only be made possible when the body is being given enough protein after physical activity. The use of protein powder instead of other means of attaining the macronutrient has also been linked to help aid with weight loss. When wanting to build lean muscle, your body needs to consume more protein than usual. Without using supplements for protein, it is very hard to still be in a decent calorie ratio when trying to achieve this amount. Many high street protein powders contain synthetic chemical and artificial sweeteners that can be masked in terms such as ‘natural flavouring’. With this in mind it is important to always read the labels and try to select a natural protein powder with ingredients that you recognise. Now what exactly are the benefits of plant based protein powder you might ask? The main benefits are that they are more suited to those who have sensitivities or intolerance to dairy. One of the most popular forms of non-dairy protein powders is rice based which has been shown to be just as effective as whey protein. Studies have also stated that rice proteins can be as effective with the reduction of fat mass by increasing lean muscle growth, overall strength, and endurance. 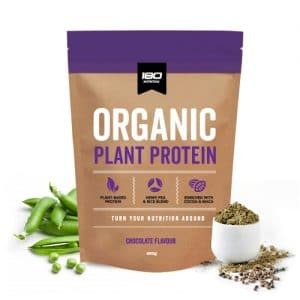 Pea protein has also made waves in the plant-based protein powder category, as it has shown to help build thickness in the muscles when consumed. Aside from muscle development, pea protein was also shown that it can help to curb cravings, making it an effective appetite suppressant as well. 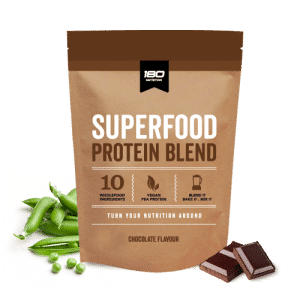 The complete amino acid content of pea protein has also been favourable when wanting to maximise your nutritional content. What pea protein does in the body when it comes to suppressing hunger is lowering the levels of the ghrelin hormone which is associated with appetite. Another benefit of vegan protein powder is the fact that the micronutrient profile is well balanced. 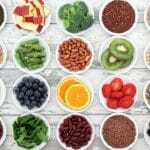 Micronutrients such as vitamins and minerals are often neglected by those seeking to achieve healthier lifestyles, as they only focus on protein, carbohydrate or fat consumption. Although this may not be completely detrimental, neglecting to implement sufficient micronutrients to your diet can have long term negative affects on the body. Micronutrients are necessary in aiding the functions of hundreds of bodily actions such as boosting the immune system. Although attaining these micronutrients from whole foods is essential, having extra amounts through these supplements can still be beneficial. 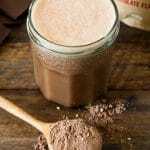 Another popular natural protein powder source comes from hemp which is recommended usually for those who are sensitive to other types of protein supplement. Hemp has been shown to be a good source of Linoleic Acid. This acid has been studied to help reduce the risk of neurodegenerative disease, coronary heart disease, atherosclerosis, and high blood pressure. Hemp also contains omega 6 and 3 essential fatty acids is vital for the immune system. The phytosterols in hemp has also been shown to fight cholesterol build up. The albumin and edestin proteins of hemp also happens to be some of the easiest proteins for the body to break down. Plant based natural protein powders aside, whey protein supplements are an exceptionally healthy way to add more protein to your diet too. They offer a quality protein source that is absorbed and utilised efficiently by the human body. 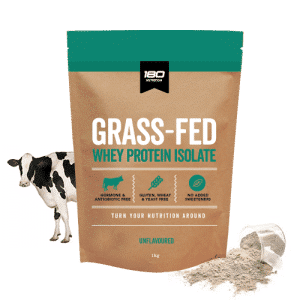 Grass-fed Whey Protein Isolate is becoming increasing popular option as it offers a clean protein without added hormones or antibiotics that can be found in many cheaper high street options. When selecting a whey protein isolate pay particular attention to the flavourings as they can often be a mixture of chemicals. Natural Protein Powder With Added Fibre? Fibre consists of soluble and insoluble fibres. The insoluble is what helps with the digestive tract while the soluble fibres keep the body feeling full. Many natural proteins today can be compared to meal replacements when it comes to keeping you full minus all the added chemicals of traditional supplements. The addition of nuts, seeds, and ingredients such as psyllium husks are now readily available in products. 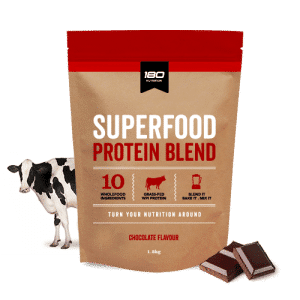 These superfood protein blends are well tolerated by most and can be enjoyed by the whole family. Overall, whether it is maintenance of muscle growth you are trying to achieve, implementing a natural protein powder into your diet will benefit you tremendously. Living a healthy lifestyle can be daunting at times, especially if you are still at the starting point. The great thing about this era however is that living healthily has become a lot less confusing as more healthy options are appearing on the shelves everyday. 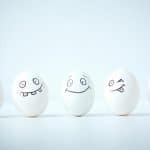 From grass-fed whey protein options, hemp, rice, or pea proteins, there are so many ways to spruce up implementing this macronutrient into your diet. Don’t be afraid to switch up the protein powders you use, as the natural options are just as effective if not more when it comes to building and repairing lean muscle.